When Did The Thanksgiving Day Holiday Begin and Who Was Sarah Josepha Hale? We all know the Thanksgiving story when the Pilgrims landed the Mayflower on Plymouth Rock. But when was the actual legal holiday established? Right in the middle of the Civil War, President Abraham Lincoln took the time to proclaim Thanksgiving a national holiday. But little is known of who really was behind influencing Lincoln and the government to make Thanksgiving a holiday. Little is known of the women who petitioned Lincoln and the four previous presidents to establish the holiday. 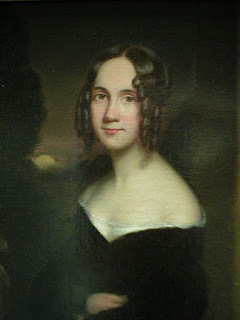 Her name was Sarah Josepha Hale and she is credited as the individual most responsible for making Thanksgiving a national holiday in the United States; it had previously been celebrated only in New England. Each state scheduled its own holiday, some as early as October and others as late as January; it was largely unknown in the American South. Her advocacy for the national holiday began in 1846 and lasted 17 years before it was successful. In support of the proposed national holiday, she wrote letters to five Presidents of the United States -- Zachary Taylor, Millard Filmore, Franklin Pierce, James Buchanan, and Abraham Lincoln. Her initial letters failed to persuade, but the letter she wrote to Lincoln did convince him to support legislation establishing a national holiday of Thanksgiving in 1863. The new national holiday was considered a unifying day after the stress of the American Civil War. Prior to the addition of Thanksgiving, the only national holidays celebrated in the United States were Washington's Birthday and Independence Day. So when you are sitting down to have your Thanksgiving dinner give thanks also for Sarah Josepha Hale, for all her perseverance and hard work in making our national holiday a permanent part of our culture and history. Thanks for this post but could you please also tell me tips about less expenditure Black Fridays.